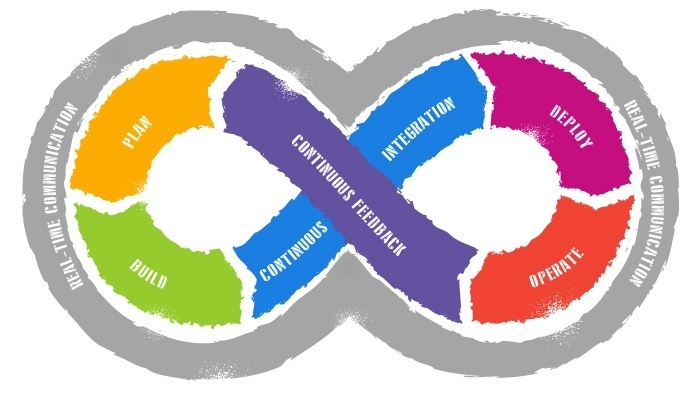 Before we go into depth about the three phases required to fully operate as a DevOps organization, you must first understand DevOps, which has become an increasingly important framework in organizations. 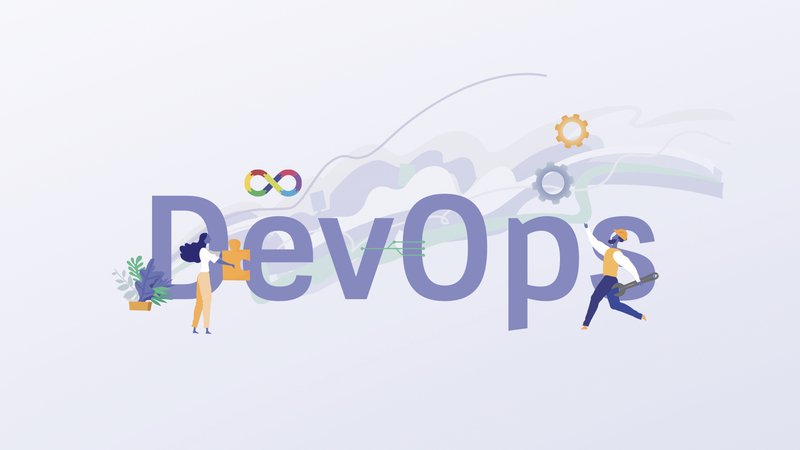 DevOps refers to a set of best practices that empower both the operations and development teams to perform more efficiently, exceed organizational goals, and drive long-term business strategy. 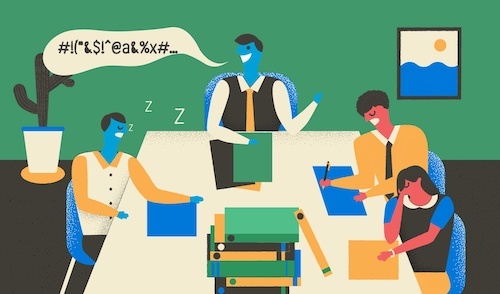 Have you ever been in a meeting and thought, "Why am I even here?" and then started daydreaming or doing other work on your laptop? After meetings that drudge on and on, it's easy to leave them more confused than when you started. https://www.praecipio.com/jira-jql-turbo-kitSmall errors can cause big problems. In 2007, a car dealership hired a promotions firm to mail 50,000 scratch-off tickets to potential customers, with one lucky winner designated to receive a $1,000 prize. However, the first 30,000 tickets were all mistakenly printed as winners, adding up to a $30 million mistake. Obviously, the dealership was unable to honor the pay-out, and instead offered $5 gift cards to the numerous lucky winners. Have you ever missed a deadline because your team couldn’t get aligned? Maybe a key team member was traveling, or you spent too much time discussing the plan instead of implementing it. Have you ever tried to “rally” through email? It starts out with good intentions; but 43 messages later, someone was left off the thread, and you’re trying to determine action items by sifting through a lengthy email chain. Clients and potential clients ask us what sets us apart from other Atlassian Solution Partners. While I hate answering this question as I have good relationships with people from other Solutions Partners, I love the answer we have at Praecipio Consulting. Machine learning, artificial intelligence (AI), and other advanced technical concepts are not new to Praecipio Consulting's engineers. In their spare time, they like to experiment, solve problems, and test ideas in a variety of areas. And the way they see it is they succeed, or they learn. Praecipio Labs, formalized in 2017, has really been around since the beginning. Whether it was a problem that needed solving, or it was just innate curiosity, Praecipio Labs was there to dig in and find a solution - or just have some fun! 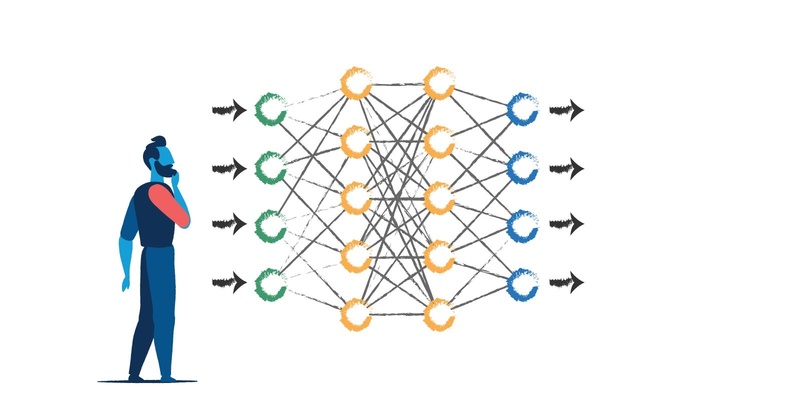 Most of the team's activity includes a variety of topics that may not be beneficial today, but are interesting nonetheless - like AI, improving advanced systems configurations, and much more. https://www.praecipio.com/webinars/portfolio-for-jira-best-practicesIn our last blog post, we shared with you how Portfolio for Jira can be used to plan and visualize work for any department or line of business. Now that everyone has a seat at the table, let's make sure the meal is excellent by following a trusted recipe for Jira Portfolio best practices. 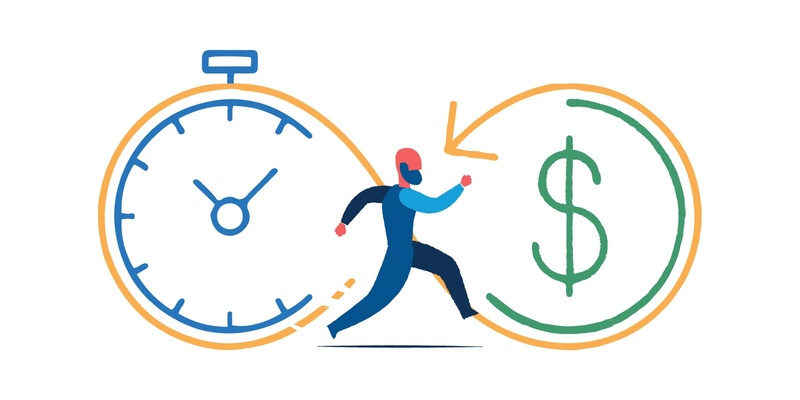 Customizing workflows in Jira means taking control of your organization's transactions, but that also means quality assurance becomes critical. Fortunately, Turbo Kit for Jira not only provides the deep customization capabilities for workflow creation and customizing conditions, but also has a variety of validators needed to ensure transitions operate correctly and smoothly. Automation is a popular theme for developers, consultants and everyday users of the Atlassian suite, especially within Jira, because it makes your life much easier. There's no shortage of ways to automate processes within Jira, including custom development and the Atlassian marketplace. Even we at Praecipio Consulting have used most or all of these add-ons. That is until we created our own automation tool: Turbo Kit for Jira. 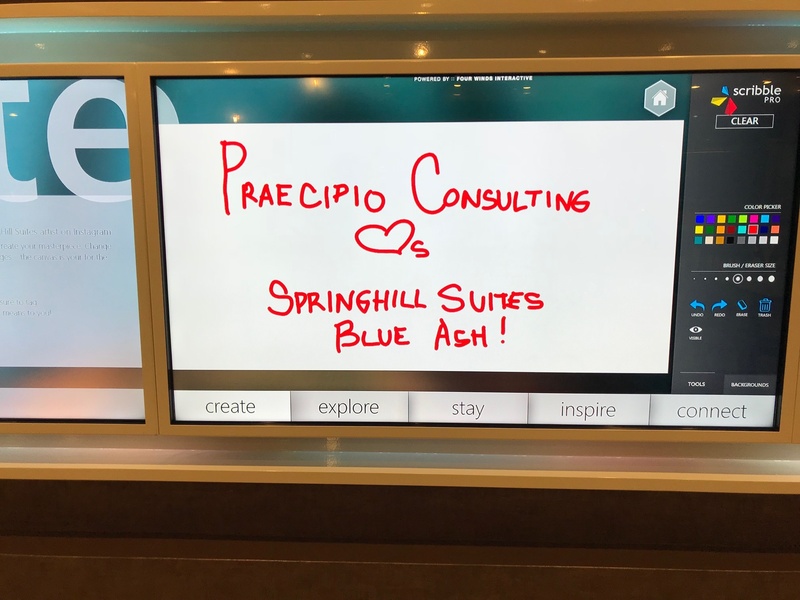 This is a guest blog written on behalf of Jack Harding, IT Consultant at Praecipio Consulting and Larry Brock, IT Chief of Staff at Samsung Austin R&D Center and Austin AUG Leader. Based on their presentation “The Power of Process: How Samsung Implemented ITIL” at Summit San Jose 2017. As 2016 draws to a close, it's time to reflect on the past 12 months and set forth goals a.k.a. resolutions for 2017. Where do you want to be in the new year? For many, this includes adopting new technologies or new practices like DevOps. Whatever your new year's technology resolutions, we're here to help. Join the Atlassian team at Amazon Web Services re:Invent! With the rise of CaaS (Containers as a Service), many organizations as well as cloud service providers (including Amazon, Google, and VMWare) are looking to container deployment to expedite releases with new, lower strain on dependencies. Offering flexible deployment in addition to heightened security through resource isolation and microservice architecture, Docker allows companies to spin up consistent, stable, and secure environments for everything from development to sales demos. A smooth running production environment is a beautiful thing. But how do we get there? And how do we ensure that all of our production, staging/test, and development environments stay in sync in order to get there? Today, it seems like everyone in software development is talking about Docker and containers. In fact, according to the 2016 State of the Cloud Survey by RightScale, Docker adoption doubled from 13% to 27% in just one year. Furthermore, 35% of the organizations surveyed reported that they have plans to adopt it soon. One of the things I love about my parents is that any time we get together, I can talk to them about work stuff. My brilliant parents are retired and – to be honest – bored with retirement, so it's an intellectual treat whenever I visit. Mom is a retired teacher with two master's degrees (cue awkward conversation about the whereabouts of my one master's degree), and Dad is a retired portfolio and project manager also with a master's degree (again, cue awkward conversation). During our talks, we have fun and insightful discussions about anything and everything- and we love using whatever's at hand to make a point. 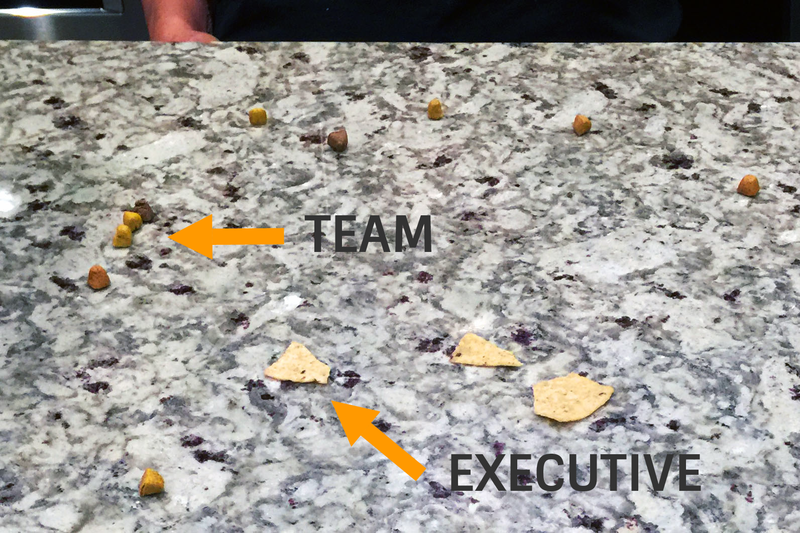 This time, the topic was disconnected teams, and the props at hand were dog treats and tortilla chips. Yes, you read that right: dog treats and tortilla chips. Stay with me. The best teams sync with each other. 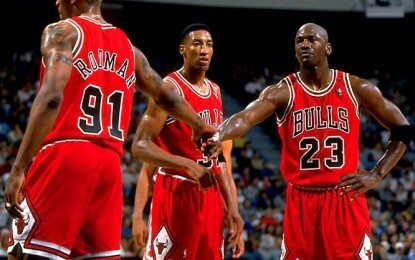 Think of the intangible magic conjured by the Championship-sweeping Chicago Bulls of the 90's, helmed by Michael Jordan. They ran their offense to perfection, playing to the strengths of each team member and executing each step in perfect rhythm to put points on the board. Any member of those teams will tell you their success came not only from having high-performing people but from working together within an established offense, or process. Because they bought in and trusted the process, each team member knew his responsibility at all times. The team ran time-tested methodologies for getting the win, adjusting as needed after analyzing the other team's strategy. Basketball is all about strategy, process, and teamwork. HipChat has long been the beloved messaging application for Atlassian users, developing integrations with Confluence and Jira to increase the seamless nature of the SDLC process with notifications and team and project-specific rooms. 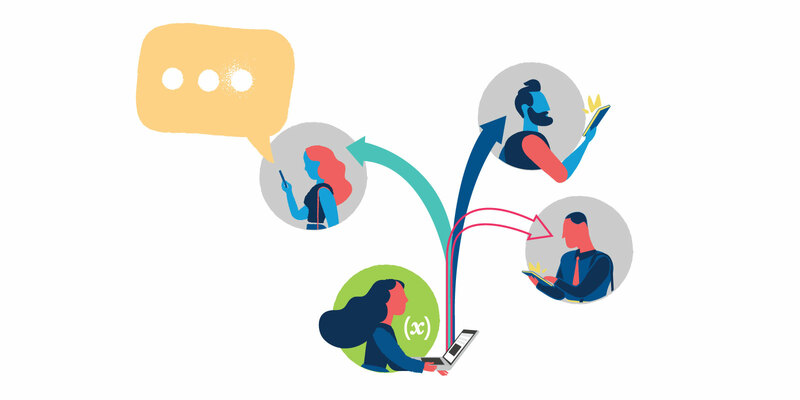 With the success of these integrations, Atlassian is raising the bar for HipChat functionality, offering up their API for other software producers to code their own connections to allow even more tools to team with HipChat. 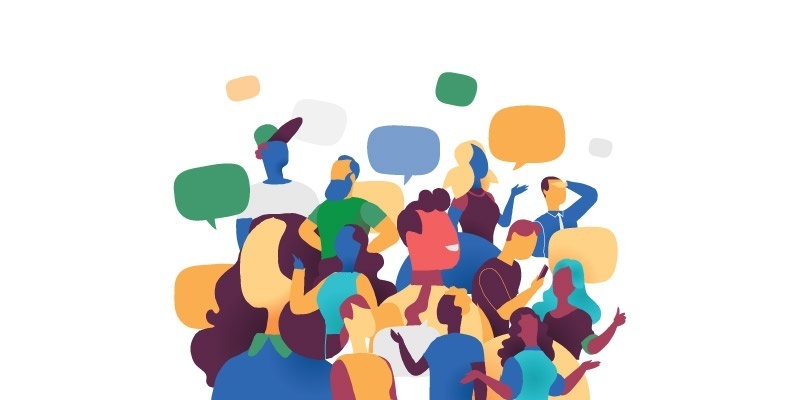 Recently, Atlassian held a HipChat Dev event in San Francisco for a handful of popular and innovative tech companies to dev and demo their HipChat plugins, opening the door for an all new level of HipChat functionality. New Relic, Salesforce, Tempo and other Atlassian-inclined software makers came together to tweak the HipChat API to get their products talking for an even more robust integration offering in the messaging system. With many new options becoming available, excited HipChat users can expect to see these plugins available soon, making HipChat a real-time communication hub for all aspects of the software development life cycle. Since their founding in 2002, Atlassian has disrupted the tech industry with their innovative products. Focusing on collaboration, integration, scalability and efficiency, Atlassian continues to change the way companies do business as we move more and more towards a global business model. 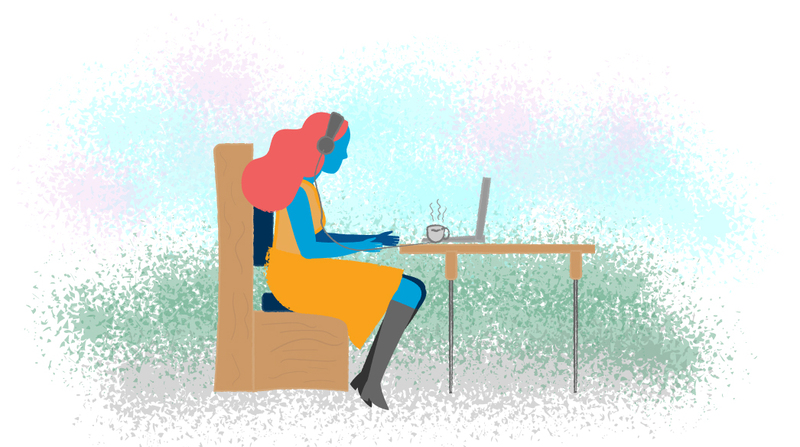 Because of Atlassian, teams across the world can work seamlessly and in real-time on projects no matter where people are located. They've build products that not only keep up with the needs of today's industry leaders, but they are themselves industry leaders (reflected in their ever-growing Gartner rating). It's with that forward-thinking and must-have product suite that Atlassian has reached 50,000 customers! As Atlassian Solution Partners, we at Praecipio Consulting love nothing more than introducing these products and their capabilities to clients who enthusiastically adopt them with great success. We've seen first-hand how Atlassian brings the best in IT and business process solutions to companies of all sizes and industry, from the dev teams to the marketing teams, and could not be more excited to see what they will come up with by the 100,000 customer mark. No matter the size of your organization or your industry, the end game of any company is to deliver the highest quality product to customers at the greatest market value, with the lowest cost of production. This school of thought drives the Agile methodology of software development, pushing for faster delivery of better products with the least amount of risk, and has fueled the scalable Agile solution for enterprise-level organizations: Scaled Agile Framework (or SAFe). Operating under the principles of Agile development, SAFe aligns the development and initiatives of all levels of the enterprise company- from agile teams to executives- for accelerated value delivery at a reduced risk. Leveraging short feedback cycles organized into sprints and release trains, the cost of deployment decreases as deliverables have clearer direction and requirements to ensure a better fit for purpose. When Praecipio Consulting Senior Solutions Architect and Certified Scrum Master Amanda Babb got engaged over the new year, her first thought (after "Yes, I'll marry you" of course) was that this was an affair for the Atlassian tool set. With family members on both coasts and Amanda and her fiancé residing in Texas, she knew Atlassian would be the trick to best practices in MDLC (Matrimony Development Life Cycle). "There was never a question." says Babb. "From the moment we got engaged, I got a Cloud instance." Establishing a Kanban board that will take Amanda and her family from gathering information about venues to the nitty-gritty tasks like purchasing the cake slicer, this Scrum Master feels confident in an on-time, on-budget release of an October 2015 wedding. For projects big or small, Jira Portfolio helps you plan it all! With the ability to pull work in progress in from Jira or push the work breakdown structure into Jira, Portfolio makes managing projects a breeze. With a little set-up and some good old-fashioned planning sessions, your organization can quickly view release schedules, track estimates and actuals to business strategy targets, and manage resources in one place. Despite the end of the Great Recession in June 2009, five years later the effects are still felt amongst those newest to the job market. Today's college graduates face 8.5% unemployment and 16.8% underemployment as the U.S. experiences a 7 million job deficit. However, in spite of overall downtrends for college graduates, jobs in technology are not only remaining buoyant- but continually growing! In 2013, nearly 70% of students pursuing degrees in technology had at least one job offer by graduation. Though salaries for graduates in other industries have dipped by 7.7%, those who work in the tech industry are enjoying some of the highest, most competitive pay of all college-educated workers. Last year, companies spent a third of their budget on IT assets and related costs. Each piece of hardware and software equates to dollars, time, and resources. This can become costly when not well managed. 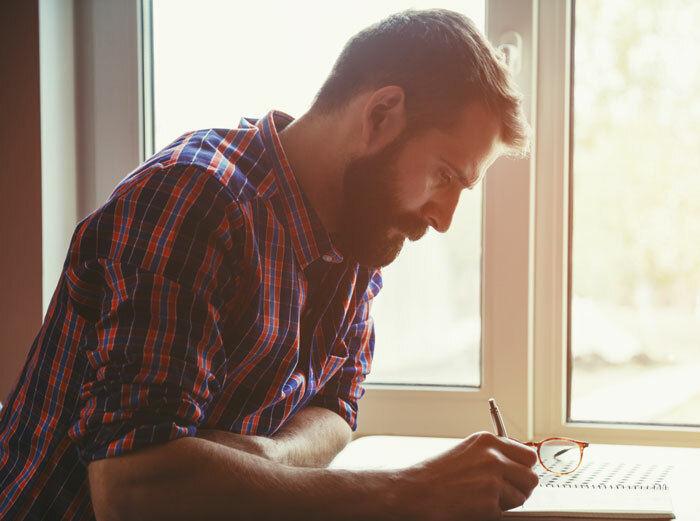 Much like keeping a maintenance log for a vehicle, thorough documentation from purchase to hand-off is required for every asset in your organization. Technology is central to your organization's operations and if not well managed it becomes a source of profit loss, unnecessary expenditure and endless frustration. 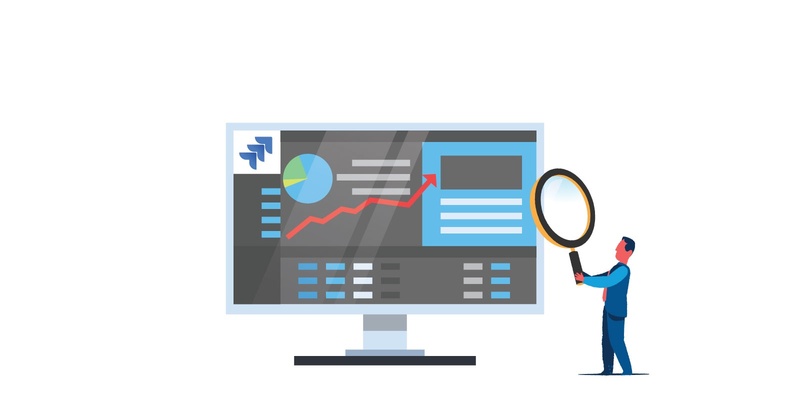 Leveraging Jira, Atlassian's product and issue tracking software, you gain the documentation and visibility you need for best practices in ITAM (information technology asset management). Make a list of all the things you'd like to see in new and existing Atlassian products. Dream big. Get thoughts from other Atlassian users. Then- build, test, deliver and repeat. No, this isn't the Atlassian version of Willy Wonka's Chocolate Factory. 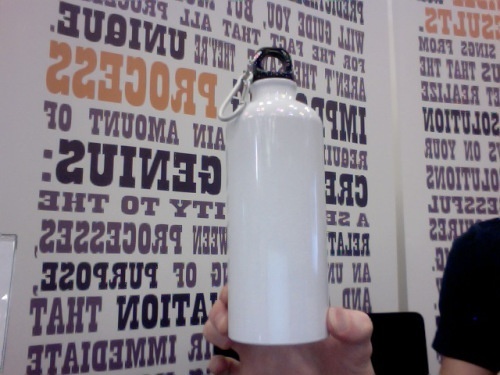 It's the future of Atlassian- and your mind will be blown! Atlassian shot into the Enterprise with the release of their revolutionary JIRA Data Center in July, followed by Confluence Data Center in August. Major companies worldwide relying on Enterprise-level, mission-critical processes rejoiced- and now, they have even more reason to celebrate! Now Stash, the popular source code management for Git, is the newest Data Center offering from Atlassian. Currently in its beta version, the first and only platform of its kind to provide a highly available, scalable solution to collaborative Git teams of unlimited sizes with countless products and processes, Stash Data Center brings optimal uptime, the utmost reliability and unlimited scalability. It's only been a week since Scott Farquhar and Mike Cannon-Brookes introduced us to Stash Data Center in the Opening Keynote of Summit, but the IT community is already buzzing over the newest addition to the Atlassian Enterprise family! Want to learn more about effective Jira administration? This Jira Administrators Primer will cover tasks and best practices that every Jira administrator should know. Delivered by our very own Christopher Pepe, attendees from this session will help you become more proficient in maintaining your Jira instance. Hack the Code, Be the Change. What do you get when you put 10 developers in an 18th floor downtown Austin office with 24 hours worth of tickets, iced coffee, beer and pizza? 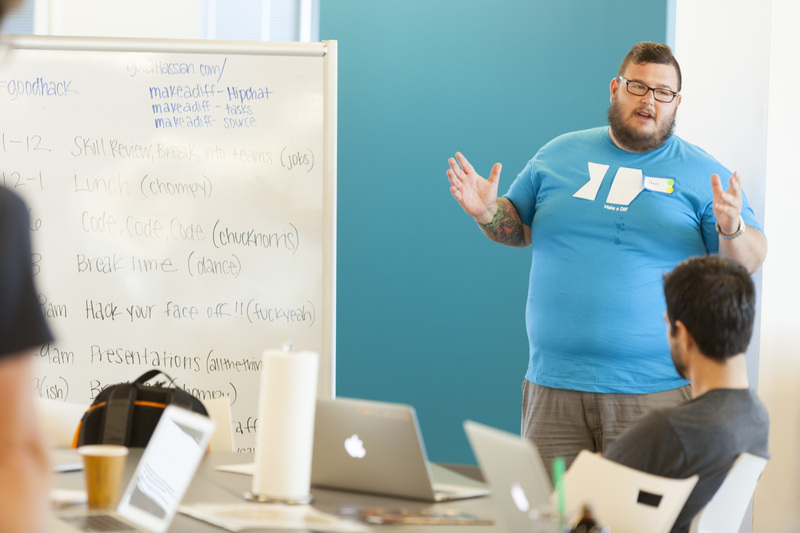 The first charity event for the recently-opened Austin office kicked off significant work around the Make a Diff website, where Atlassians, Experts, and developers around the city committed a full day and night's efforts towards resolving issues. To give back, all participants had to do was search for Jira issues by fields such as expertise, assign to themselves, and work to resolve. 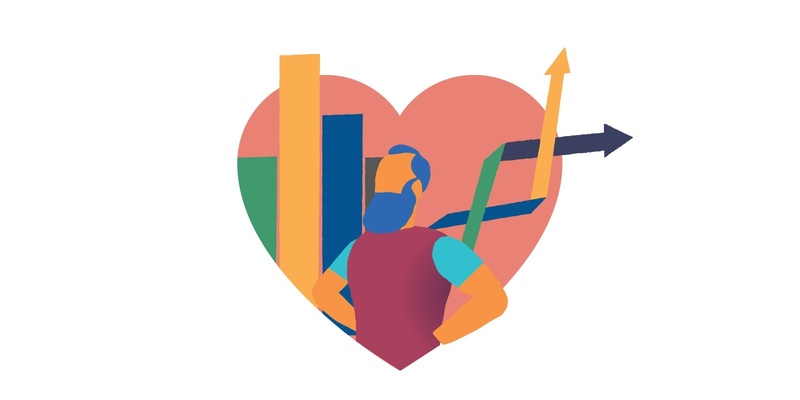 The charity model, as user-friendly as the Atlassian product stack itself, unlocks the power and skill set of people looking to make a difference in a collaborative, effective, and fun environment. As Abraham Lincoln famously said, "You can't trust everything you read on the internet." Those familiar with this anachronistic meme appreciate the sentiment behind it, as does anyone who has ever reported erroneous facts found while combing the interwebs. In today's fast paced world, you need reliable answers to your questions on demand. Confluence Questions delivers search engine capability and collaborative communication across organizations that allows your entire team to demonstrate their expertise. Whether you want to know how to insert a macro into a template or where to get a speedy oil change during lunch, your queries are answered in real-time with the same collaboration and transparency you know and love from Confluence. Confluence Questions allows you to connect with experts in your organization by posting questions and up-voting the best answers for quick search-ability. Leverages your company's brain trust to provide the best answers, easily located, through the collaborative ability of Confluence. At Praecipio Consulting, our team are Atlassian Experts- when bringing clients best in breed practices and in competition. 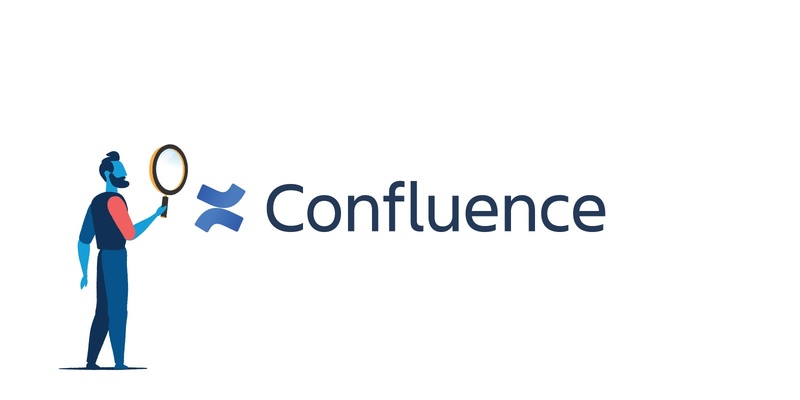 In conjunction with the release of Confluence Questions, Atlassian hosted Tour de Confluence Questions, an international competition to find the top exerts in the world- of which our own Charles Wells is among the top ranked! Interested in learning more about how to leverage Confluence Questions to find experts in your organization? 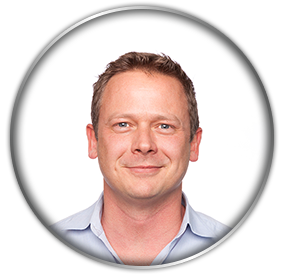 Check out Charles in Praecipio Consulting's webinar, The Experts Among Us: Finding Expertise via Confluence Questions. It all started seven years ago when Joseph and Christian Lane and Christopher Pepe took their years of software consulting knowledge and focused their energy on the Atlassian product suite. Since then we have set big goals, worked hard and have grown in leaps and bounds. With clients ranging from start-ups to Fortune 20 and 500 companies, Praecipio Consulting has proven itself as a leader in consulting on the full Atlassian portfolio. We're proud to announce that we are now one of four platinum experts in the US, and one of 25 in the world. 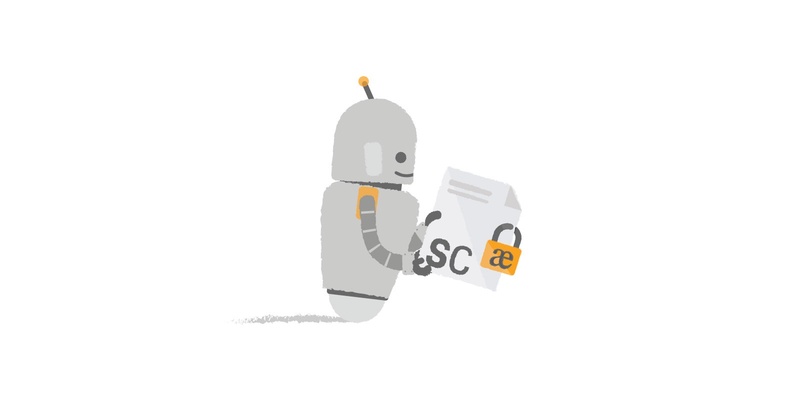 That’s right, our highly anticipated Secure Content Macro is now available on the Atlassian Marketplace. 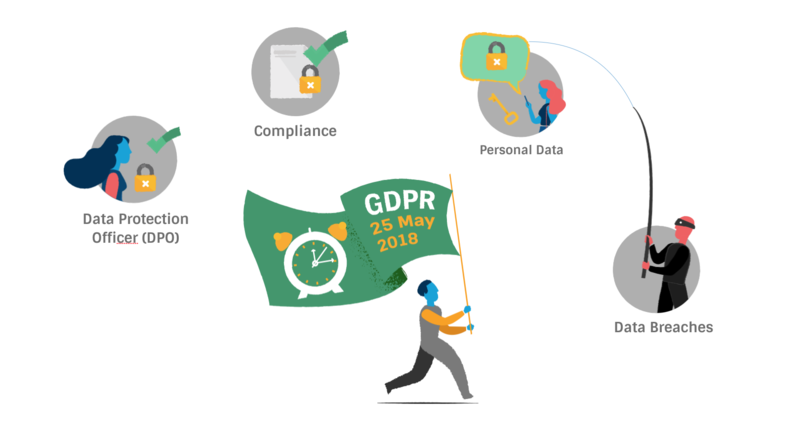 Secure Content allows you to securely display sensitive data to the right people at the right time anywhere in Confluence. This is the third blog post of a three part series where we focus on migrating the Jira code base from Subversion to Git. 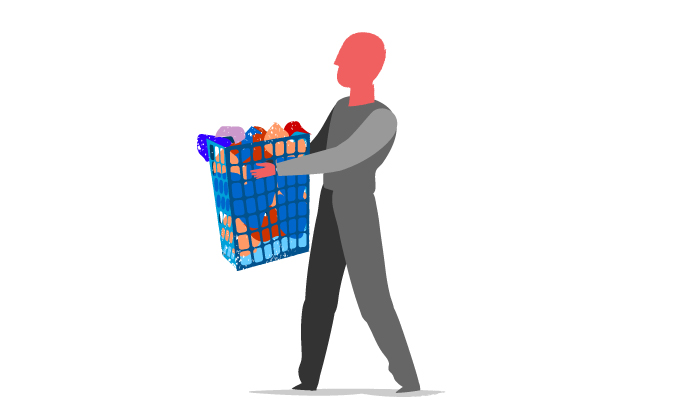 We wanted to share Atlassian’s migrating experience to those of you who are contemplating moving a large project to Git – without sacrificing active development. In our first post we discussed why we decided to make the switch to Git. In our second post we dove in the technical details of switching from Subversion to Git. In this the first of a three part blog series which focuses on migrating the Jira code base from Subversion to Git. We wanted to share Atlassian’s migrating experience to those of you who are contemplating moving a large project to Git – without sacrificing active development. In our first post we discuss why we decided to make the switch to Git. In our second post we dive in the technical details of switching from Subversion to Git. In our third, and final post we will discuss how we managed the “human” angle to migrating. Looking back, 2012 was a stellar year for both Atlassian and Praecipio Consulting. While Atlassian continued to expand its presence in the software development community, so did we! As the year comes to a close, we look back at all we’ve accomplished and are truly grateful for the opportunity to grow alongside such an awesome partner. As the year comes to an end, we can’t wait for the new opportunities that will arise. 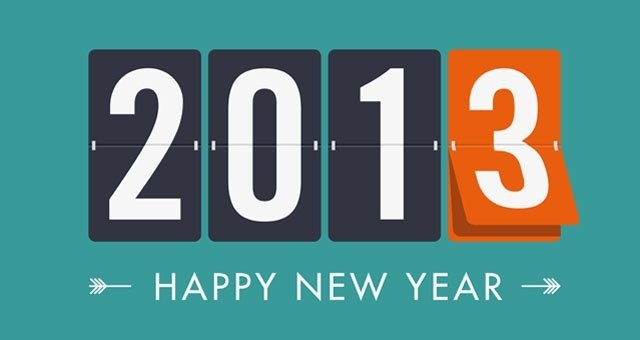 We want to give a special thanks to all of our clients, partners and friends for making 2012 so great, and wish each and everyone of you a prosperous 2013! Our monthly webinars are designed to help you become proficient with the entire Atlassian product suite. Wether you want to convince your team to adopt Jira or are in search of some handy tips and tricks for End Users and Administrators, our webinars are designed for any skill level. Along with Atlassian’s new offering of Enterprise level Jira and Confluence comes the Atlassian Enterprise Expert Certification. It’s designed to help Enterprise level clients find Atlassian Experts best suited to provide solutions to enterprise level problems. It’s hard to believe that it has been 6 years since our first enterprise deployment, and we are honored to announce that we are officially, Atlassian Enterprise Expert Certified! Between Atlassian Summit and the launch of GreenHopper 6, the Atlassian team took a break to conduct an innovation week. Basically, the team had saved up their “20% time” over a number of weeks to put it to use during one week. That’s right, only one day left until AtlasCamp 2012. Our developers eagerly await this day every year, so you can imagine our excitement when Atlassian asked our very own Christopher Pepe to design and teach the Intermediate Jira Plugin Training Course! 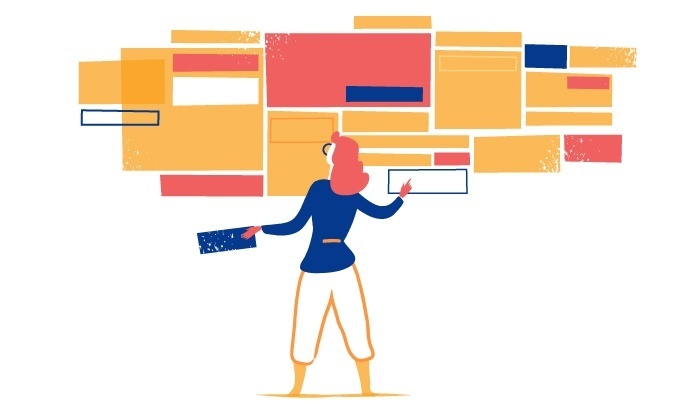 Jira’s an issue tracking application, but its core flexibility and strengths mean it can become much more than a tool limited to a development group. Jira’s incredibly adept at helping teams track and accomplish tasks. Jira also has a masterful ability to manage life cycles - and it’s found great success in numerous use cases. Until recently, I might have called Microsoft crazy to drop $1.2 billion on social enterprise app vendor Yammer. The business case for replicating popular social networking functionality in a corporate environment seemed dubious at best. Would there ever be a return on investment? During our last Atlassian User Group meeting a few attendees asked us for pointers on how to convince their managers to implement or expand upon the Atlassian product suite as a Business Process Management Tool. To us the task seemed easy, especially since Process Optimization and Management are some of our founding principles. Meet the New & Improved Bamboo OnDemand! If you’re a Bamboo OnDemand subscriber, you could be forgiven for feeling a stab of jealousy every time a new batch of awesome features comes out for the on-premises Bamboo offering. ”When, oh when, will it be my turn?”, you pined. Well, if you logged into your Bamboo OnDemand instance this morning, you already know that the wait is over. Bamboo OnDemand is now roughly on par with Bamboo 4.1. ”Roughly”, because there are still a few differences such as not being able to install plugins or use commercial version control systems. The Jira Dashboards is the first screen you see when you log in to Jira. It can be configured to display many different types of information, depending on your areas of interest. If you are anywhere else in Jira, you can access your Jira Dashboards view by clicking the ‘Dashboards‘ link in the top left corner of the Jira interface. 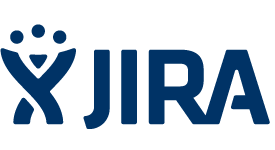 We’re excited to announce the availability of Jira 5.1! Information Economics and Confluence: Putting the I Back into IT. When it comes to IT, why do most organizations focus more on the T in technology than the I in information? The purpose of a good IT infrastructure’s to prevent information asymmetry and the implications that come with it. By properly managing your company’s information network you can create value through better decision-making. We’re excited to announce the release of Atlassian Confluence’s Team Calendars 2.3. For this Team Calendars release Atlassian focused a lot on helping you stay up to date with upcoming events in your team. Seven weeks ago the world met Stash – a centralized solution to manage Git repositories behind the firewall. Stash 1.0 was a huge launch! Atlassian’s been deluged with great feedback and already have small agile teams and large enterprises adopting Stash for their Git development. Yes, that's right, Codegeist, your favorite annual development competition is back! Some of you who came to Atlassian Summit will know that this year's Codegeist started June 1st and goes until July 16th. This year Atlassian's giving away $45,000 USD in cash prizes across four categories. BIG NEWS FROM ATLASSIAN: “Between Mardi Gras, St. Patrick’s Day and unpredictable weather, March is one crazy month –and we at Atlassian are still deeply mad for DVCS! As an expression of our mania, we put extra love for DVCS users into Bamboo 4.0, now available for download. If you’re not a DVCS user (at least, not yet…), there’s no need to feel left out because Bamboo 4.0 has plenty of goodness for you, too. You know we wouldn’t do ya wrong! 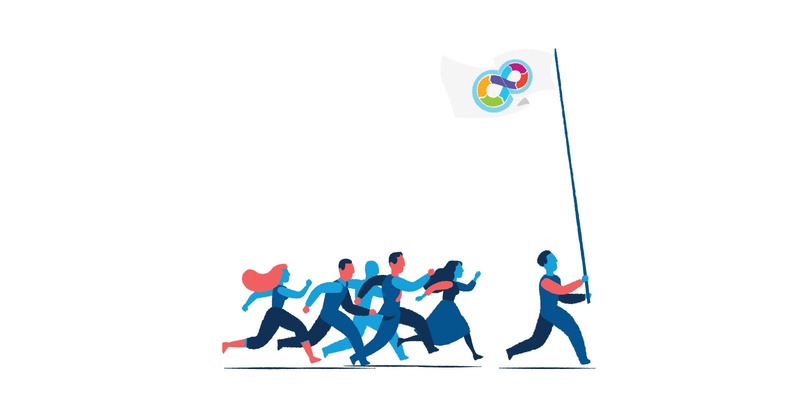 Jira 5 is a brilliant platform for collaboration, connecting the people, activity and applications you work with every day. Software development involves your entire organization, and good software becomes great when you bring everyone into your development process. Atlassian Jira 5′s here, connecting the dots between the development process and the rest of your business. Did you actually think Atlassian was gonna slow down just because it’s a new year? After an exciting first 6 months in 2011, the Team Calendars development team continues it’s blazing pace in 2012. The latest release of the Confluence SharePoint Connector is loaded with new features that help make the static content you store in SharePoint easier to embed within the dynamic content you create and share in Confluence. Bamboo 3.4‘s ready for download and ready to spread a little joy for the holidays. This release provides some gifts for Atlassian’s Git users, and will bring joy to those expanding their continuous integration process into the cloud. Editor’s note: Please note the total coolness of these Confluence 4.1 features, *in addition to what’s listed below*: pimping your images, autoconvert of content from the likes of YouTube, Google Maps, Vimeo, Flickr (paste a URL, Confluence will turn into content automagically), and find and replace. This is awesome stuff – so make sure you’re sitting down and holding onto something! Atlassian’s Team Calendars development team has been working hard to make Team Calendars the glue between Jira and Confluence. They’re excited to announce that their next major release - Team Calendars 1.6 - is available for download now! GreenHopper 5.8 is now available, delivering a huge win for everyone: the new Rapid Board. A major innovation for GreenHopper, the Rapid Board’s a flexible new board for managing and reporting on work in progress. The Rapid Board also provides multiple project support, which alone satisfies a whopping 255 votes - the most requested feature in GreenHopper’s history! From Atlassian: Finally, Bitbucket Supports Git! You’ve been asking for it, the Bitbuket team has even joked about it – now it’s here (for real): for the one year anniversary of Bitbucket joining Atlassian, they’re announcing Git support. Atlassian's Confluence 4.0 is HERE! 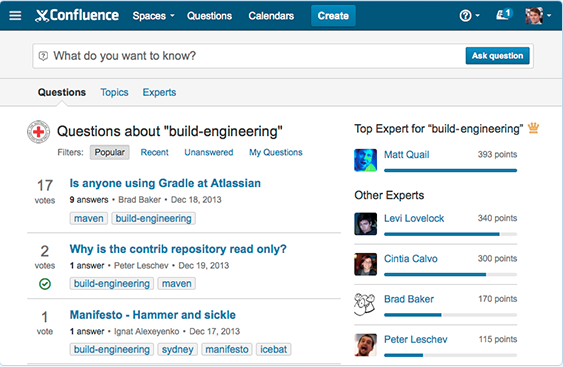 Confluence 4.0 is here! After more than a year of development, and many more years of listening to your feedback, we’re stoked to deliver you Confluence 4.0 – the fastest, richest, most intuitive collaboration experience ever. We were reminded of Phil Gilbert’s 2010 keynote, “The Democratization of Process,” earlier today while fine-tuning an integration of business process management (BPM) methodology and cloud technology. If you’re pondering the clash of governance vs crowd-sourced content, Gilbert’s keynote (below) offers some helpful perspective. Searching the change history of issues in Jira gives specific, key information about issues, and helps developers make decisions and prioritize work. Shortly after introducing the Bonfire beta program at Atlassian Summit 2011, Atlassian’s happy to announce the official release of Bonfire for Jira. 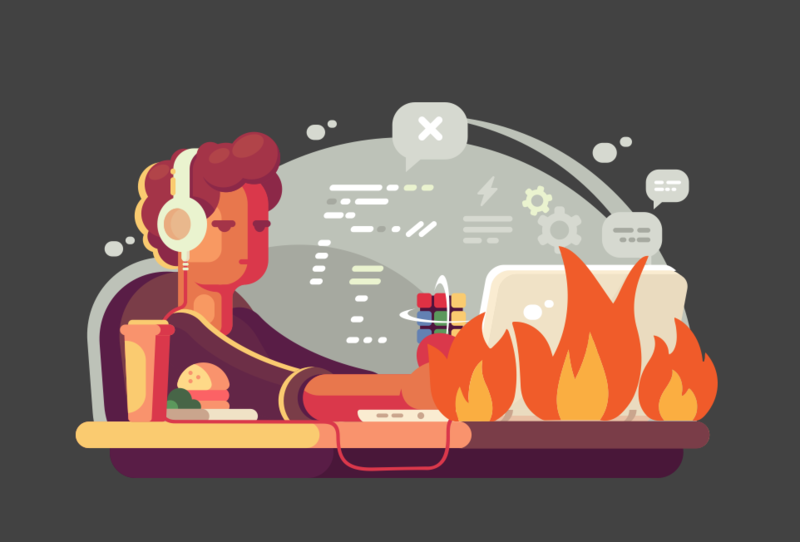 Bonfire’s a tool for QA teams, testers, and developers – or anyone, really – to rapidly file comprehensive bug reports directly from the web application they are testing. Atlassian Jira's a remarkably flexible tool. For most who hear “Jira,” things like issue tracking, project management, and software development come to mind. Very rarely do people think of ITIL in relation to Jira. But then again, many don’t know what ITIL is. Another “what we do in a nutshell.” We love this stuff. 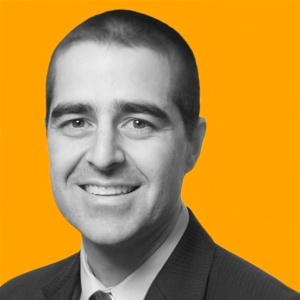 Christopher Pepe, head of our Atlassian practice, will travel to Chattanooga this weekend to present at DevChatt – a tech-focused conference for software developers and technology enthusiasts. His presentation – “Jira and Greenhopper for Agile Development” – will focus on how plugins are greats ideas but not the only ideas, how there aren’t any silver bullets, and how to use Greenhopper more effectively for Agile. Be sure to check it out – Christopher will knock your socks (or flip-flops) off. We’re having a blast at Chattanooga’s SmartGrid Roadshow this week. The show’s been a host to hundreds of industry-changing intelligence that will lead electric utilities into the next generation of energy. We’re here collaborating with other energy market technology leaders about how utilities can re-engineer their business processes to support grid digitization and more customer empowerment. San Antonians, you don’t have to make the drive to Austin to get involved. We’re bringing San Antonio its first Atlassian User Group (AUG)! 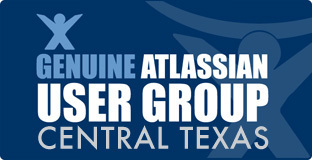 Join us later this month for the first San Antonio Atlassian User Group (SATXAUG)! Expect to enjoy appetizers, speakers, and the chance to talk shop with other Atlassian users about how they use Atlassian tools. CTXAUG Second Meeting: Join Us! 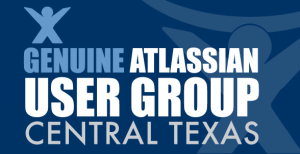 To all Austin-area Atlassian users (we know there are lots of you) – please join us next month for the second-ever Central Texas Atlassian User Group (CTXAUG)! At our first meeting we enjoyed snacks, beer, two Jira and Confluence whizzes, and the chance to talk shop with other Atlassian users about how they use Atlassian tools. Great ideas sell, even without the fortification of brand or tangibility. If an idea’s well-built, well-defined, and in-demand, sales are almost guaranteed with a little marketing. Parts of Mississippi, Alabama, Georgia, and Tennessee sustained catastrophic damage from this week’s tornado outbreak. It saddens us to learn that so many people have lost loved ones and their lives as they once were. Having experienced this severe weather event and facing a Mississippi River flood of historic proportions, it’s important that we care for our neighbors in the Southeast. SmartGrid technology is the effective future of the electric power industry. Just consider the numbers: the US SmartGrid market is expected to double in size between 2009 and 2014, from $21.4 billion to $42.8 billion, with global SmartGrid spending exceeding $200 billion in 2015. With significant aid from federal stimulus funding, SmartGrid development and implementation has already begun across the US. 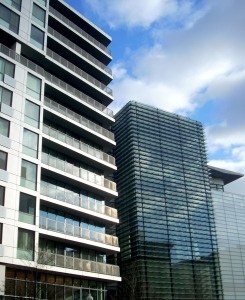 Experts expect SmartGrid technology to become the electric industry standard within 20 years. We’ve seen hundreds of folks on our first day at SXSW Trade Show. Thanks for swinging by! If you’re at the festival, be sure to come by tomorrow for more swag giveaways, process/ITSM talk, and Atlassian Jira-powered kitchen appliances. The Agile Framework, and in particular scrum allows any team or organization the ability to deliver product to the customer at the pace of new technology. But it's not just for software development. We’re excited to announce that our primary Atlassian guru, developer, ace, bad-a… Chris Pepe, has slain a dragon. A huge, fire-breathing, metaphorical dragon. Chris completed Atlassian’s Here Be Dragons quest, in which developers from villages worldwide are challenged with the task of fully integrating a suite of Atlassian applications. And he did it without a sword. This is the second installment of a 10-week series. Each Thursday we (a) pinpoint a hotspot, (b) offer context and possible solutions, and (c) ask for answers from the crowd. So, enjoy – and contribute! We’re excited to host the first Central Texas Atlassian User Group next month – a place for Atlassian users (Jira, Confluence, Greenhopper, Crucible, etc) to connect and share ideas. We’re expecting over 50 attendees, so we’ll be starting off with a bang! This is the first installment of a 10-week series. Each Thursday we’ll (a) pinpoint a hotspot, (b) offer context and possible solutions, and (c) ask for answers from the crowd. So, enjoy – and contribute! There are many long, thorough comparisons of SharePoint 2007 and SharePoint 2010 out there. This isn’t one of them. Instead, we’ve created a brief list of what’s new in SharePoint 2010, so SharePoint 2007 users can quickly learn about the advantages of upgrading to 2010 and weigh their decision criteria. Businesses run off process. They succeed with good process; they flop with bad process. Process is everything. Process is what renders a company efficient, maintainable, or a huge godawful mess. From the Praecipio Consulting team, Merry Christmas! We hope you have an enjoyable Christmas holiday. 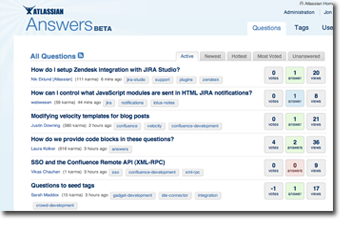 We’ve talked a lot on this blog about what Atlassian Jira and Confluence are and how they can be used. We’re big fans. But some of you are already benefiting from them, and are big fans too. 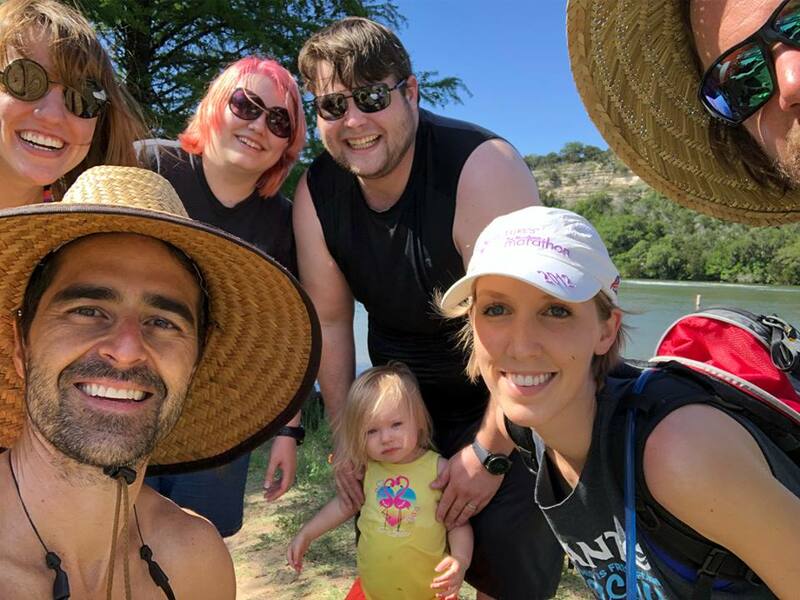 That’s why the Praecipio Consulting team has launched the Central Texas Atlassian User Group (@ctxaug), the first Atlassian user group in the Austin metro. Atlassian’s Confluence is a key supplement to its Jira product. Confluence acts as a powerful project management component, breaking down information barriers within the development environment and keeping everyone on the same page. With an extensive list of plugins and Microsoft Office integration, Confluence can improve information sharing extensively – especially when working in tandem with Jira. Altassian’s Jira is perhaps the best issue tracking and software development management platform around. While Jira can be used in many, many ways, it’s found a sweet spot in the gaming industry. As we said in Comparing SharePoint iPhone Apps, iPhone users now enjoy on-the-go access to SharePoint with a slick user interface. 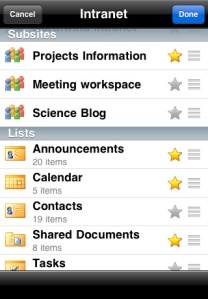 The latest versions of Safari mobile enable SharePoint to appear on a device as it does on a desktop monitor. We’re excited to announce that Praecipio Consulting’s Christian Lane and Brian Nunnery are helping out with SXSW 2011as Interactive Liaisons. From now until the March festival, Christian and Brian will be using their strong communication and management skills to ensure that SXSW speakers and presenters have the support they need for their panels and presentations. It’s important for us to promote creativity and drive innovation, so we’re jazzed about having a hand in this year’s event. A few years ago, the idea of accessing a powerful application like SharePoint on a mobile device was jaw-dropping. Today, the experience itself is dropping jaws. At Praecipio Consulting, we’re proud to call ourselves social capitalists. We’re a group of socially-minded people who want to help our local and global community while making a profit – proving that businesses can accomplish their business plans and philanthropic goals from under one roof. Humans have been coming up with new ways to organize their information for years. 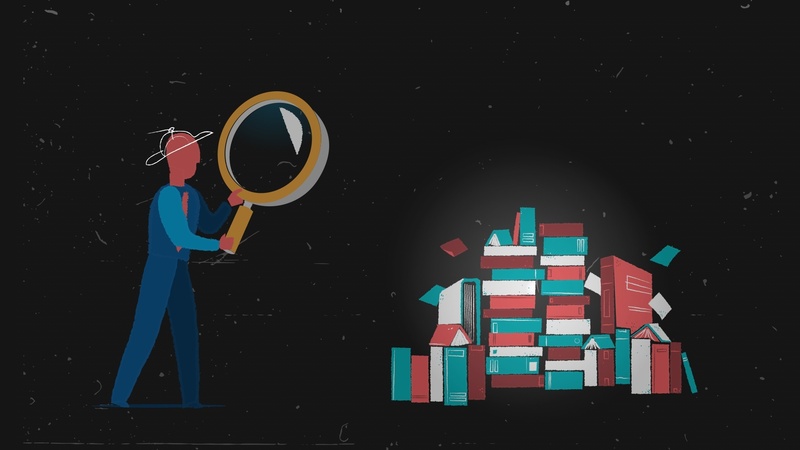 The need to find the information you need quickly has perpetuated for centuries. When information began to be digitized, that need transitioned into the digital world – and soon we found ourselves with a pile of virtual files wondering how to manage them responsibly. 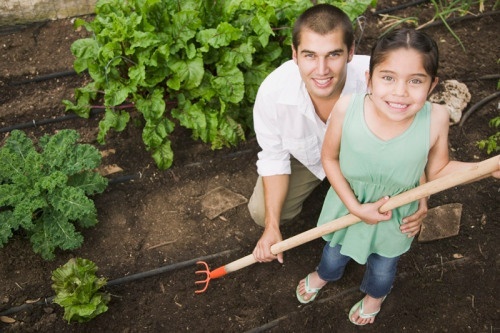 At Praecipio Consulting, we care about promoting sustainability. 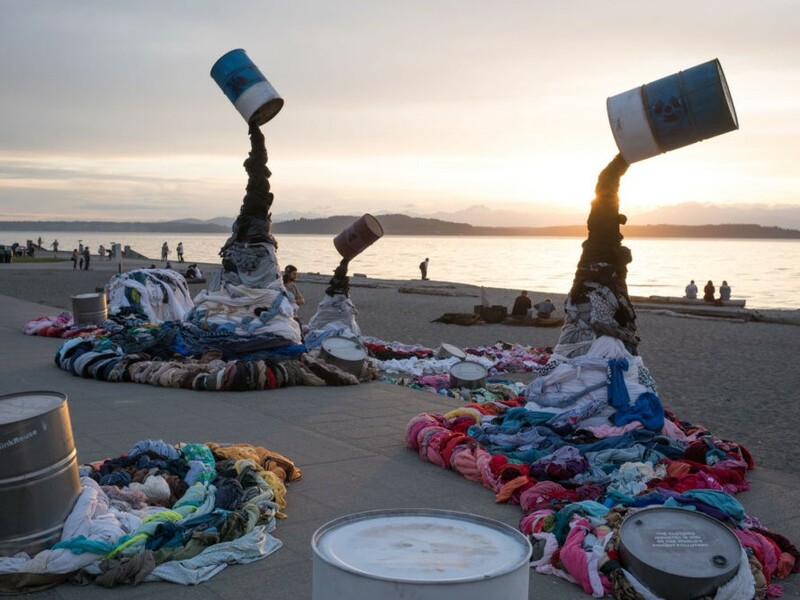 By reducing organizational waste and making businesses more efficient, we can make a company more profitable while lessening its environmental footprint. Electric Power Board (EPB) is an electric and telecommunications company owned by the city of Chattanooga, Tennessee. EPB provides electricity, cable, and as of this month, the fastest internet in the US to greater Chattanooga. As we’ve said before, we love helping others. 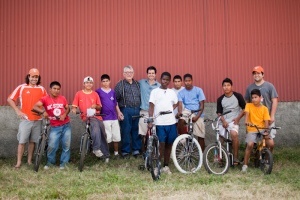 We especially enjoyed helping others last weekend with our favorite sport: futbol. 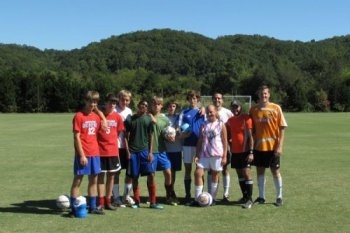 We spent this Labor Day weekend sponsoring a soccer camp for early high schoolers in greater Chattanooga, Tennessee. It was great to spend time coaching the youth. We were lucky to have beautiful weather, too: sunny and 70 degrees. Exciting news this morning: one of our clients has unveiled the fastest broadband internet service in the country. Chattanooga, Tennessee’s Electric Power Board (EPB) is offering Internet service of up to 1GB per second. That’s 20 times faster than the average American broadband connection. Google Wave. Now In A Box. Since we’re a consulting firm with a funky (we prefer “unique!”) name, we’re always armed with answers to the questions that follow “we’re Praecipio Consulting.” It would be a little silly to have an FAQ page on our website for such questions – so we’ve set out to answer the popular ones here. Ahem. We recently heard a traffic analyst from the Texas Department of Transportation (TxDOT) speak about traffic analytics. Living in a city with the fourth-worst automobile traffic in the US, the topic was particularly engaging. There are many browser-based business productivity apps to choose from. Some help you manage projects. Some are accounting tools. Others enable you to share and edit documents. Few applications, however, allow you to do all of the above. 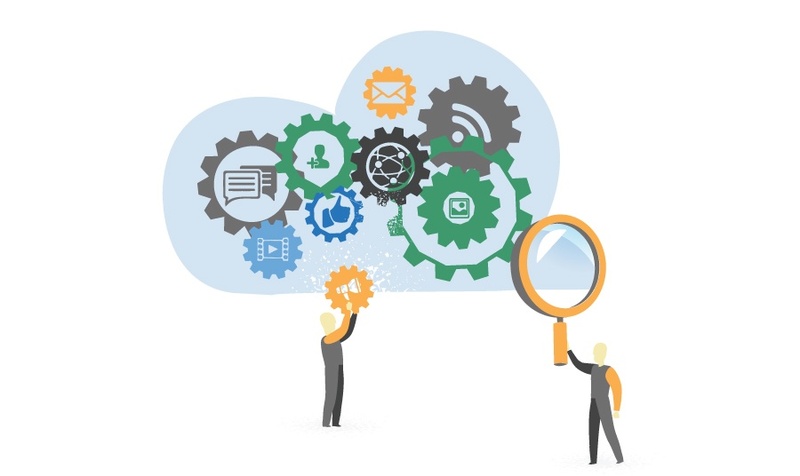 The relationship between ITSM and cloud computing is still a hot topic. 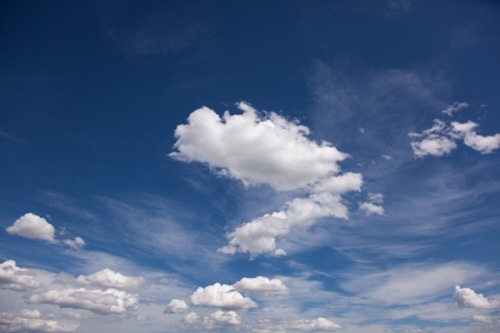 Companies are still asking questions regarding what the cloud is, IT versus business roles in adopting cloud infrastructure, and whether the shift toward cloud computing is optional or inevitable. Ambiguity abounds. ROIs matter most in high-effort, high-impact business decisions. Today, we put SharePoint ROI to the test. If you’re a large enterprise, you may be using different applications and processes to support local, national, and global initiatives. On those different levels, separate applications may be needed to manage unique sales, marketing, or IT processes. Our team’s project management and Microsoft SharePoint services have facilitated the release of the Electric Power Board of Chattanooga (EPB)’s EPBFI.com. EPB is actively building a 100 percent fiber-optic Smart Grid. 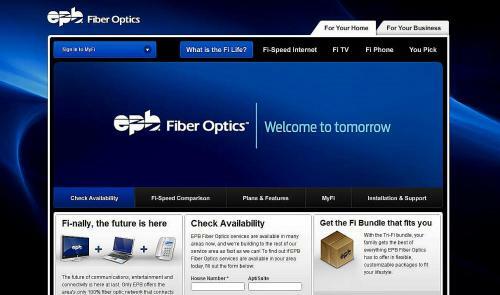 EPBFI.com will serve as an innovative communication platform for their 160,000+ customers. As we’ve noted in previous posts, BPM enables businesses to map, analyze, and test business processes in order to make them more predictable, repeatable, and efficient. An enterprise can assume they’ll accomplish those goals by leveraging BPM software from EMC, Lombardi, or Savvion…but with Microsoft SharePoint? Isn’t that for enterprise collaboration and document management? In order to remain competitive, a firm’s IT environment must be aligned with the firm’s business strategy – meaning IT should share responsibility in delivering value to the customer. This is why Change Management is so important: changes to the IT environment must not disrupt the value delivered to the customer. IT must maintain stability even during change. ITIL’s Change Management methodology provides a clear framework (with defined roles, responsibilities, and processes) that can facilitate success. At the center of every business are the employees who support a company’s success by performing necessary daily processes. 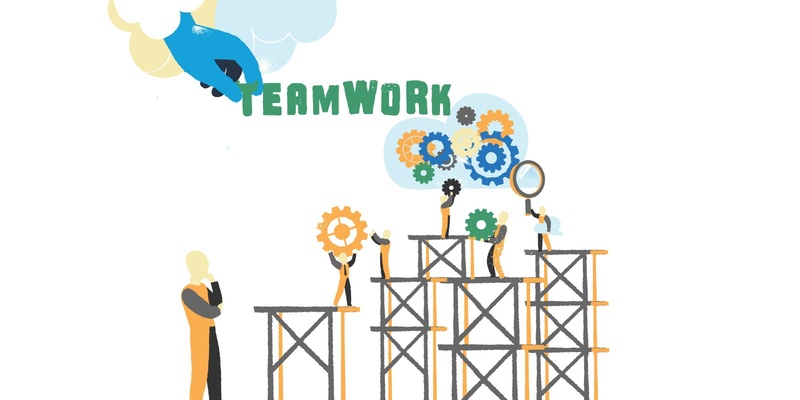 In order to succeed, however, employees need to work together in an organized, effective manner, with a sophisticated understanding of how their processes operate and relate to one another. Without it, business process may be rendered inefficient. With the help of our project management, Microsoft SharePoint, and Business Process Management services, the Electric Power Board of Chattanooga (EPB) debuts its new site: EPB.net. EPB is actively building a 100 percent fiber-optic Smart Grid. 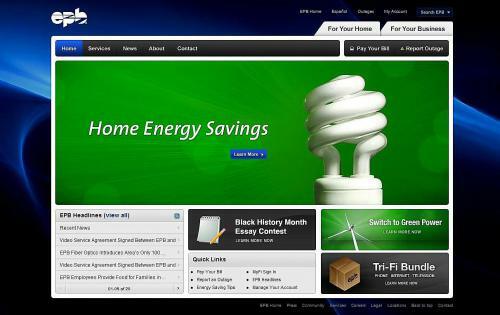 Their new site will serve as an innovative communication platform for their 160,000+ customers. If you’re in business, you’ve probably heard the phrase “LifeCycle Management” used to describe different types of process management. There’s Information LifeCycle Management, Product LifeCycle Management, Incident LifeCycle Management, and on and on and on. 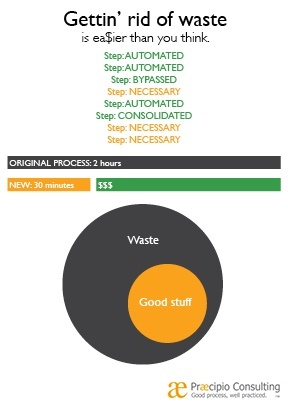 What makes Process LifeCycle Management so important? According to Forrester’s latest research, IT spending is expected to grow 6.6 percent in 2010 to $568 billion. In order to realize the value of these investments, organizations may adopt industry-consistent frameworks like ITIL to improve IT process and establish reliable data points to measure success. We are touched by the pain and suffering the people of Haiti are enduring. Please join us in helping the earthquake devastated victims of Haiti by donating to any of the reputable agencies contributing to the relief and recovery efforts. Documenting performance tactics, improvements, and process methodology is considered a standard practice in business. The information documents ways a firm has improved its business processes over time, and how those processes can be applied to the daily execution of tasks. Spreadsheets, docs, and presentations should populate the collection. If updated regularly, the information serves as a reference when it’s needed—but is only successful if the information is timely and easily accessible. Who ultimately determines the success of a technology consulting project? The consultant? The client’s primary contact? The client’s employees? One might say the consultant is ultimately responsible for their improvement’s success or failure, since he or she designed it. Another could contest this, saying the primary contact is equally responsible since they usually approve or disapprove of the design and ensures the adoption of the technology in their firm. But what about the employees? They’re usually the ones using the technology, so don’t they determine whether the consulting venture bears fruit for the client? Jira as a Collaborative Software? Atlassian’s Jira has proven itself a leader in the issue tracking market in the last five years. 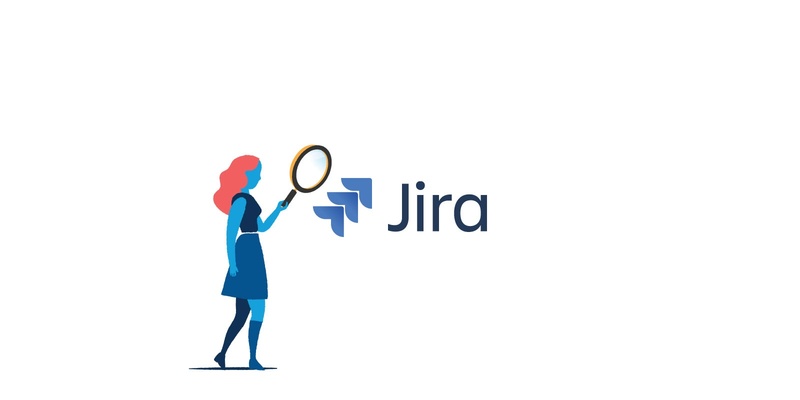 With 12,000 customers in over 100 countries, Jira allows enterprises to record and monitor every issue a user identifies until the issue is resolved from an innovative, customizable interface. It allows users to track issues through a wide variety of contextual filters. It makes issue tracking easy and efficient. Implementing ITIL: Pinpoint Your Focus! 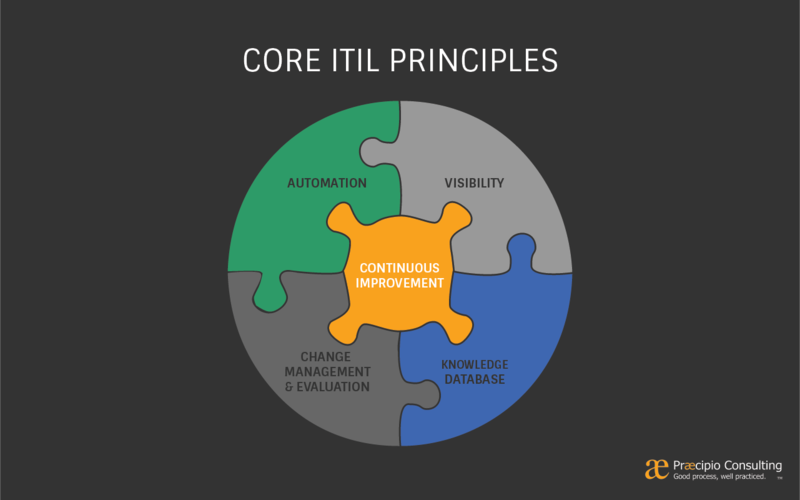 Ever heard of an ITIL implementation that was anything less than huge and complex? Well, we haven’t either. That’s why implementations require outstanding project management. This blog will share some of our perspective. Processes are what make or break businesses. Process management is therefore a very big deal. In this blog, we’ll explain the very basic nature of collaborative software and how it can aid in process management—specifically task management. Businesses are already taking advantage of Google Wave’s wide-open door of innovative opportunities. This blog highlights Wave’s ability to support client needs and solve real customer service issues. Atlassian claims Jira and Confluence were “designed to complement each other.” What some don’t realize, however, is how easy and convenient this integration really is. Confluence has proven itself as an effective project management tool, flexing its muscles as an innovative wiki allowing users to create and share rich content. Jira manages workflows and tracks issues in a well-designed, coherent user interface (UI). The conceptually adventurous software Google Wave has been a hot topic lately. Talk of its arrival is almost as popular as talk of health care reform. Seems that Google Wave– which has only granted 100,000 invitations to its beta version– is being touted as a solution not only for enterprise collaboration, but also for project management. Unofficial Wave rumors also claim the software could cure the common cold. Australian-based Atlassian debuts Jira 4 today, October 6. Atlassian first debuted Jira in 2003 as an innovative issue tracking and project management software. As we mentioned in our previous blog Jira - Complexity Made Simple, Jira is a huge asset in enterprise collaboration. It’s completely permission/Java/web-based, highly customizable, and amazingly simple to use. ITIL’s Release Management process bears a striking resemblance to ITIL Change Management—in fact, one could fairly consider Release Management to be a directly supportive process to Change Management. Release Management focuses on the practical need for organized coordination in the change process. It’s meant to ensure that changes are implemented in accordance to business needs and concurrent IT Service Management processes. The Cost of Quality (COQ) business model describes a method of increasing profits without increasing revenues. Here’s how it works: COQ increases profit by shrinking business costs. If your business has a 5% profit margin, for example – and you decrease costs by 5% – you’ve doubled your profits. That’s simple enough, but how do you decrease costs? Critics of SharePoint often cite the collaborative software’s cost as its biggest deterrent. But is SharePoint really that expensive? Only if you let it be. WSS SharePoint can be leveraged affordably from a variety of hosting providers. These providers acquire rights to become a SharePoint reseller and provide accessible SharePoint management at a low cost. Business Process Management (BPM) does not merely refer to managing a process, but rather refers to the entire lifecycle (Process LifeCycle Management: discovery, documentation, execution, monitoring, retirement) of business processes. Each aspect of this lifecycle is important in the development of a sound methodology for process management. This blog focuses on the discovery phase of the BPM lifecycle, and will explore and explain how “process mapping” aids in identifying process automation opportunities to save a company time and money.